Is there any such thing as too much cheese? We don't think so and neither do the fine folks at Funny Funny Korean restaurant on Mary Street in the CBD. 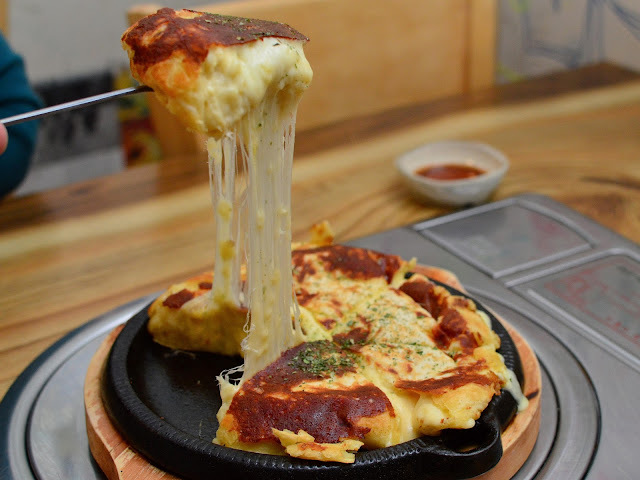 The pizza or "Cheese Pancake" as it is called on the menu at Funny Funny will run you $16- a small price to pay for this cheesy masterpiece. The dish comes sizzling hot in a skillet and cut into slices, perfect for sharing. See this cheesy explosion in action below!